Home / Dreams / Relationships / Success / Celebrating our Anniversary - Are you making time for the most important things in your life? Celebrating our Anniversary - Are you making time for the most important things in your life? It's hard to believe it has already been six years since I married Pamela. Time has flashed by, and I'm so glad that she's part of my life. I talked about how we got married three months after meeting in the article "How Do I Know When I've Met The One," that was probably the single craziest yet best decision of my life. We recently took a trip to Mexico, just the two of us without our five kids. Getting away for a little while has become an annual anniversary tradition because making time for the two of us is a priority for us. I got to relearn Spanish, relax on the beach, see a bunch of seals, and more. Definitely needed the break. If you're wondering how we can afford to take a trip to Mexico when we have five kids, check out the article "How I Added More Than $100,000 To My Net Worth in The Last Few Years While Raising Five Kids: Personal finance essentials you need to know"
Listen, I know it's tough to do these types of things with all the obligations in your life. We did this because it is a priority for us to spend time alone together. It's tough to do these and takes some planning, but isn't it worth the effort to keep your marriage in good shape? 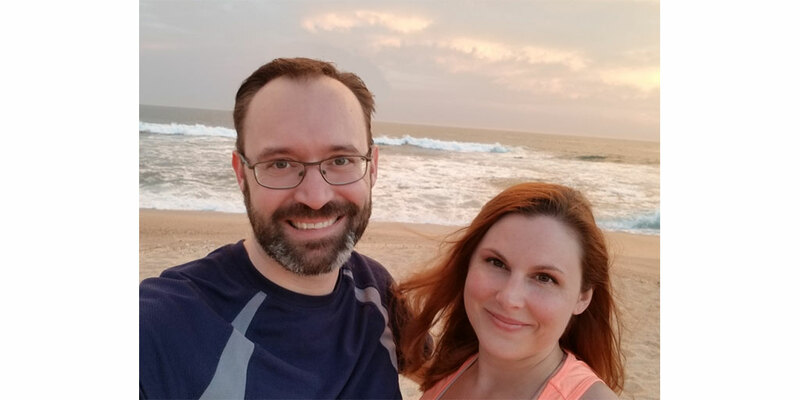 I realize that not everyone will be able to go to Mexico, but you can and should call a time out once in awhile and spend some time alone with your spouse like you did when you were dating. Take a moment to consider these questions today. Are you making time for them? Are they on your calendar?